Family Christian Academy was organized in 1983 as a ministry outreach of Family Worship Center in Baton Rouge, Louisiana. Since that time, the school has seen hundreds of families touched by the Lord and blessed through this Christian School Ministry. We exist as an extension of the family to educate children in the fear of the Lord; that they may recognize and accomplish the tasks God has laid before them. 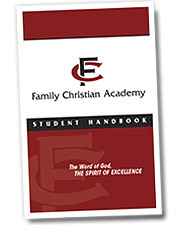 The Family Christian Academy Handbook was produced to aid its families in the understanding of FCA’s educational philosophy, its general operating procedures, and the school’s expectations of each student and family. This handbook is not intended to be a comprehensive statement of school policy, but rather a compilation of information vital to our students. 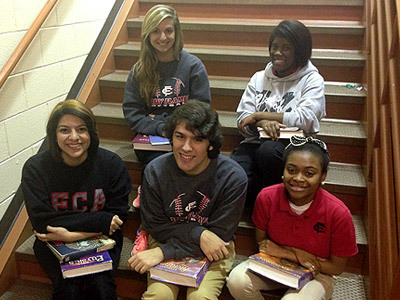 Family Christian Academy offers a stimulating co-curricular program in athletics, arts, and service organizations. Participation in co-curricular activities will be denied to any student on academic probation or averaging below a 2.0 GPA at the end of each nine weeks. 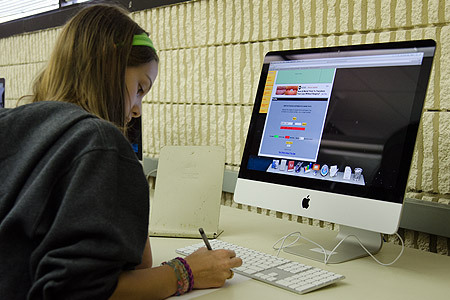 Individual teams, musical groups, clubs, and cheerleaders operate under the respective guidelines developed by the faculty advisor and the administration. Romans 13:7 urges us to render honor to whom it is due. Each year special awards are given to students who achieve their personal goals while honoring Christ. Special recognition is given to the student leaders who exemplify the philosophy and values of the school. Homecoming Court and Mr. and Miss FCA are nominated from faculty, staff, and administration and voted upon by the upper school student body. School hours are from 7:55 a.m. to 3 p.m.
Children may be “dropped off” after 7 a.m. daily. All students are to meet in the gym with their respective classes until the first bell rings. Students will be released to parents at 3 p.m. The elementary car-line is located at the rear of the building. Middle and high school students depart from the front entrance. Extended care is provided from 3:15 p.m. to 6 p.m. All students who are on campus after 3:15 are to be in extended care or face disciplinary action (CLICK to see fee schedule).